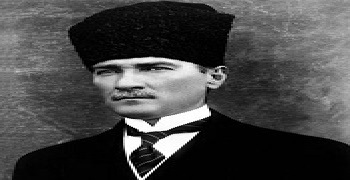 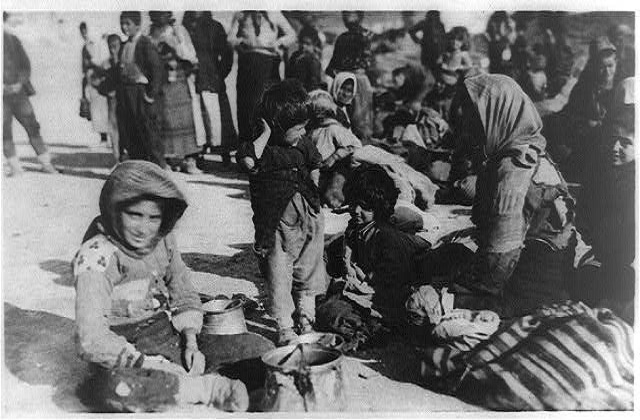 Between 1914-1923, the Ottoman Empire (today Turkey) under two successive regimes, carried out a systematic and violent campaign of extermination against its native Greek minority. 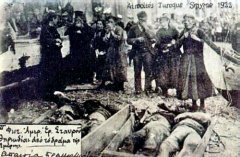 A general overview of the Greek Genocide. 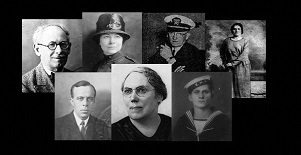 A collection of eye-witness testimonies. 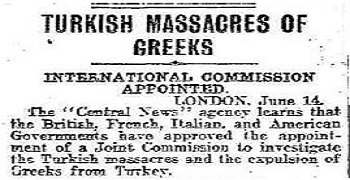 Newspaper reporting of the Greek Genocide. 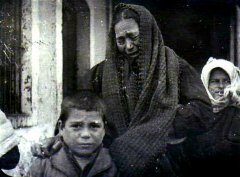 The perpetrators of the Greek Genocide. 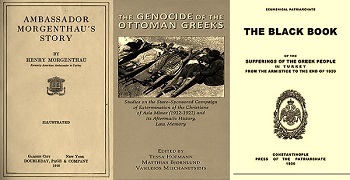 An extensive list of reading material. 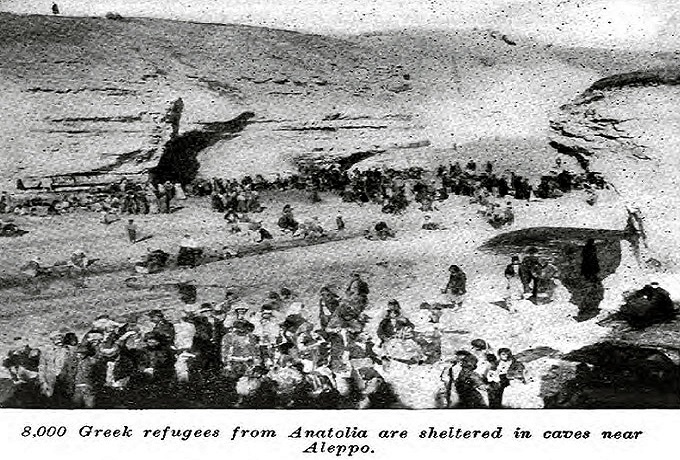 8,000 Greek refugees from Anatolia sheltered in caves near Aleppo, Syria. Greek civilians mourn their dead. Smyrna 1922. 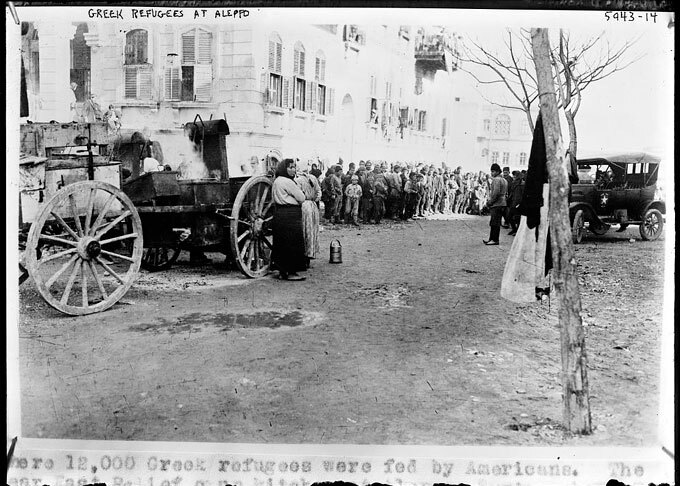 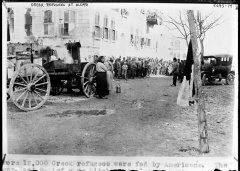 Greek refugees at Aleppo, Syria. 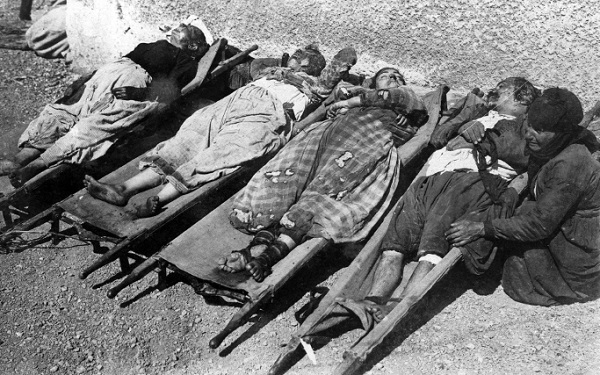 Massacred Greeks in western Anatolia laid out on stretchers. Anatolian refugees at Aleppo, Syria, circa 1915-1916. Nearly a thousand children in Constantinople found in cellars and hovels in a doped condition, having been given native narcotics to keep them quiet. 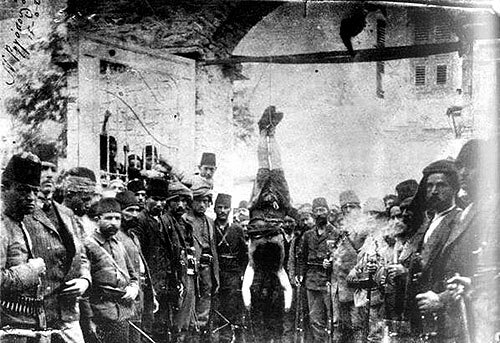 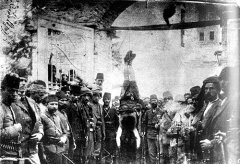 Turkish troups standing beside their hanged victim, a decapitated and mutilated body of a Greek woman in Nazilli, Aydin province. Refugees after the Smyrna fire, 1922. 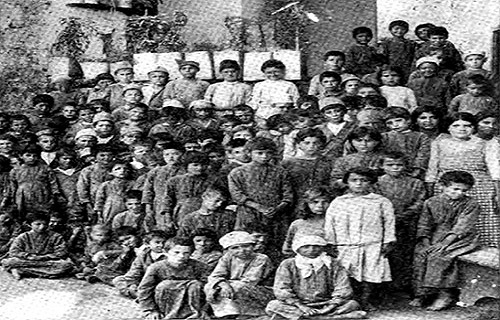 A group of Greek children who had dropped out exhausted from the weary lines of deportees were picked up by the NER from the Harput region and taken to Beirut some 750 miles away.